I received a new bicycle for my birthday, and even though I don't usually ride my bicycle at night, sometimes it's at dusk or in the early morning or when it's a bit foggy. 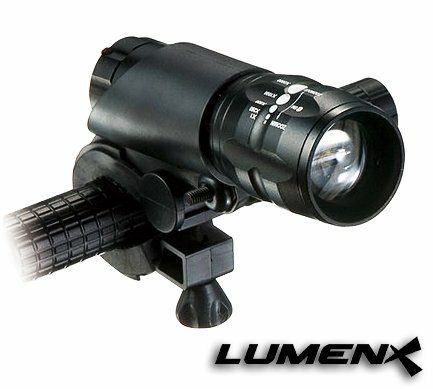 I've heard about different lights designed for bicycles, but when I saw this Lumenx light, I knew it would work well for me. It looks sleek, modern, and very functional. And it is! Even though it came with no directions, it was easy to see how to fit it onto my bicycle, and I love how it has several different settings to change the light to fit my needs. This is an excellent product - very sturdy, and looks like it will be reliable for me for years to come. 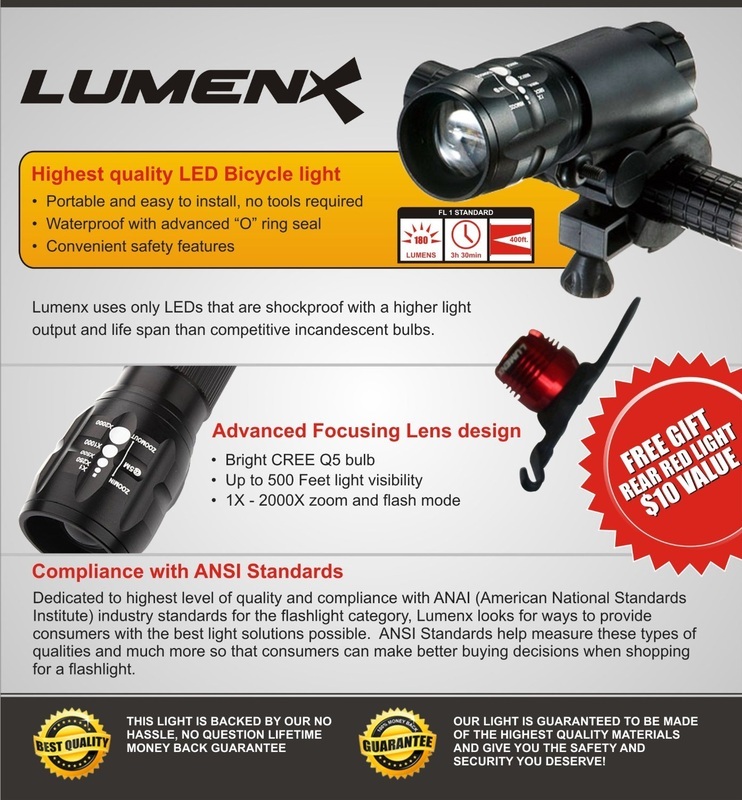 The Lumenx Mountable Bicycle Headlight/Flashlight is a powerful 2-in-1 portable LED bike light that will shine up to 500 feet, can effectively light up your path every time and its LED lights are shockproof with a higher light output and life span than other competitive incandescent bulbs. It is easy to install and remove with no tools needed. Guaranteed to be made of the highest quality materials and gives the highest safety and security possible. I'm thankful to have a light like this for my bicycle. Great product!